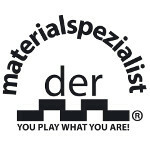 With FIRESTORM der-materialspezialist combines a new type of top rubber with an extremely fast sponge with catapult and maximum speed glue effect. The rubber offers sensational catapult and thus the ability to really „hit through" the ball. The unique structure of the short pimple geometry and the smooth pimple heads ensure both disruptional effect, flat ball trajectory and insensitivity to incoming spin. Despite the high speed values, the rubber offers great control, especially when blocking. 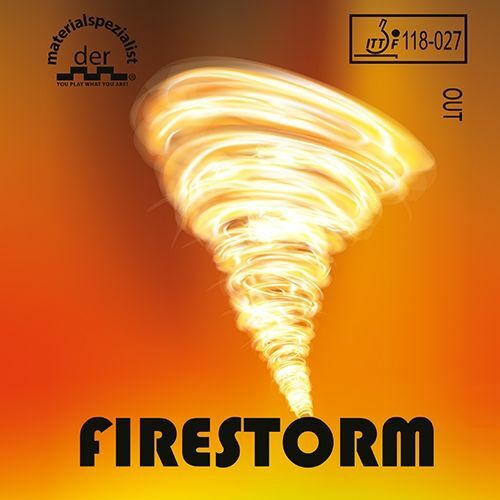 FIRESTORM: Very explosive short pimples for no-holds-barred offensive play with deadly hits.